8” (20.3cm) Wing Wrap, exposed core, light absorbency cloth pad. Suitable for light menstrual flow. Bird in Milk 100% cotton and 100% organic cotton and hemp Cloth Pads are super comfortable, ultra breathable, eco friendly and economical. Wing Wrap cloth pads can offer additional side leakage protection for the wearer with wide wrap wings and elevated exposed core. 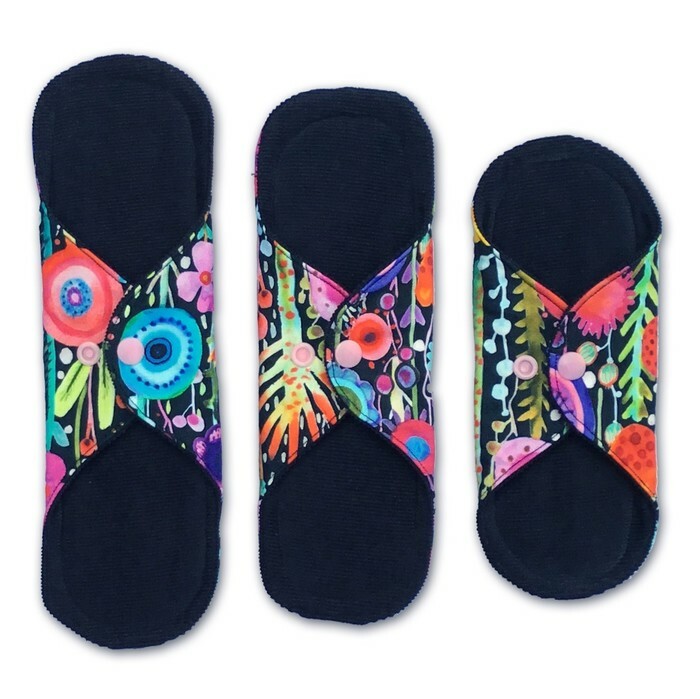 Wing Wrap pads have an adjustable snapped width of 2.75 to 3 inches. Light absorbency core 450 gsm. Choose from 100% Cotton woven, knit or flannel top fabric. Light absorbency Wing Wrap pads can be made 7.25 to 12”, please me me if you would like a custom order. Top Fabric - 100% cotton woven, flannel and knit fabric. Some organic fabrics available. Absorbent Core - 100% cotton flannel and 100% organic cotton and hemp. Fabric used varies with absorbency requirements. Non Slip Backing Fabric - 100% cotton corduroy used on all pads. All Bird in Milk cloth pads are totally customisable and can be made from 5” to 15”, if you would like a custom order please message me. 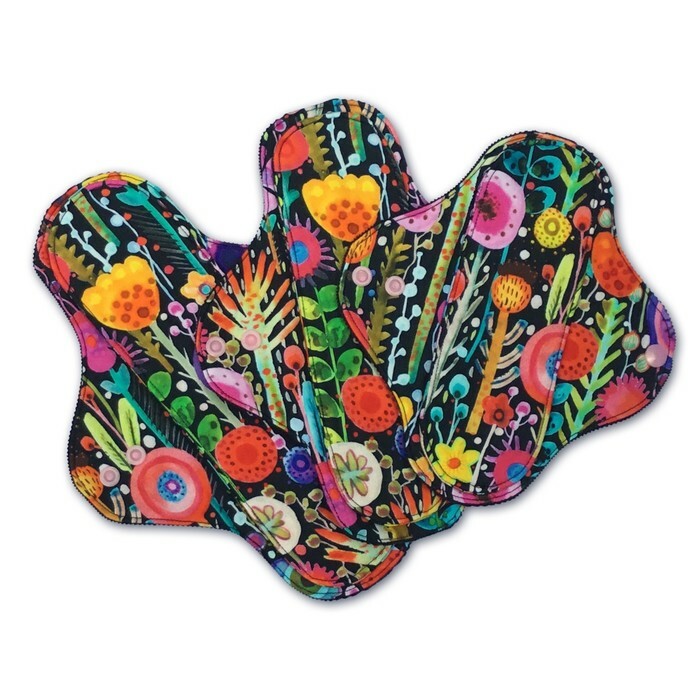 New to cloth pads? Unsure where to start? Please see our “getting started” information which can be found in the about tab on our store. 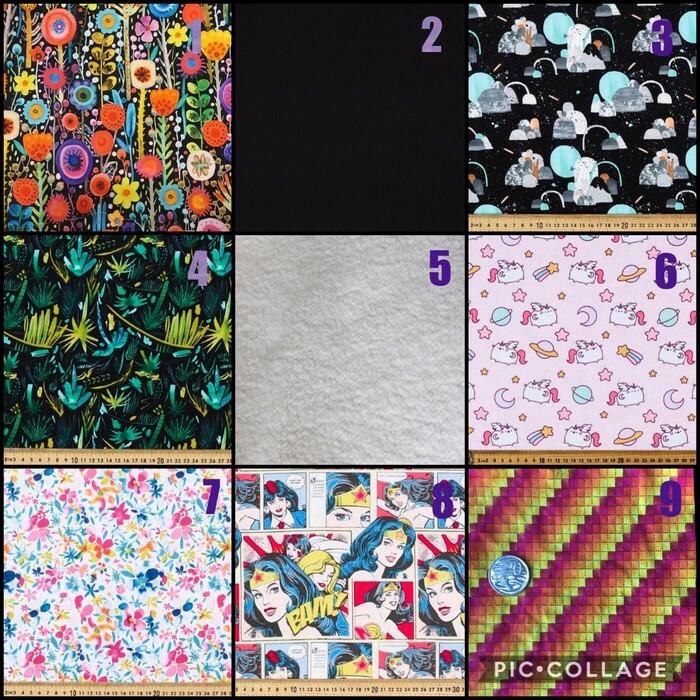 Current fabric range as per above picture. 9- 100% cotton woven, autumn squares, microprint. All fabrics are prewashed and heat dried prior to construction to prevent any shrinking of the finished item. Prewashing also removes residual chemicals from the manufacturing process and helps prepare the materials for maximum absorbency. Our Bird in Milk cloth pads are made from 100% cotton or organic cotton and hemp fabric and that’s something we are really proud of. Bird in Milk is committed to using no synthetic petroleum based fabrics or microplastic producing fibres such as polyurethane laminate (PUL) and synthetic fleece. No waterproof layer is used in Bird in Milk cloth pads. 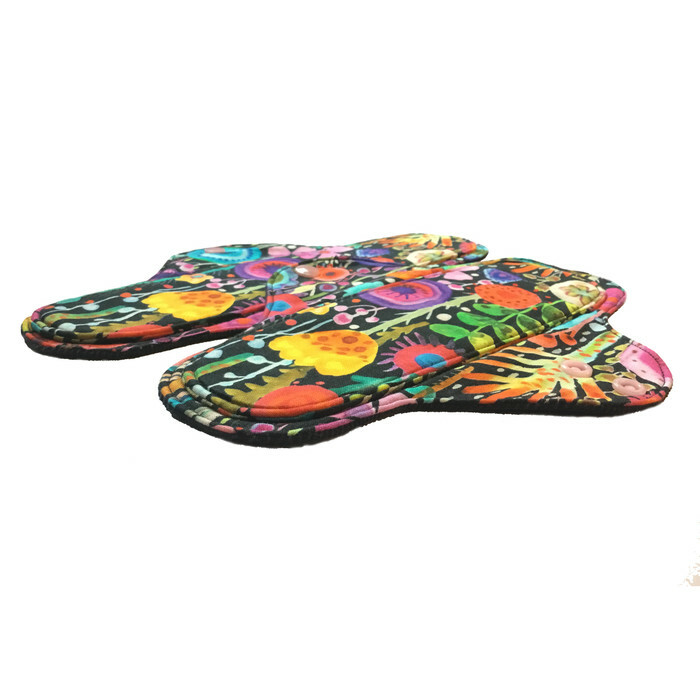 No glue or basting sprays are used in the construction of our pads. Patterns are traced on to fabric with a non toxic water soluble fabric marker pen which has been designed for this stated purpose. All pads are washed again post construction using Omo sensitive half strength laundry liquid and are ready for use on arrival. 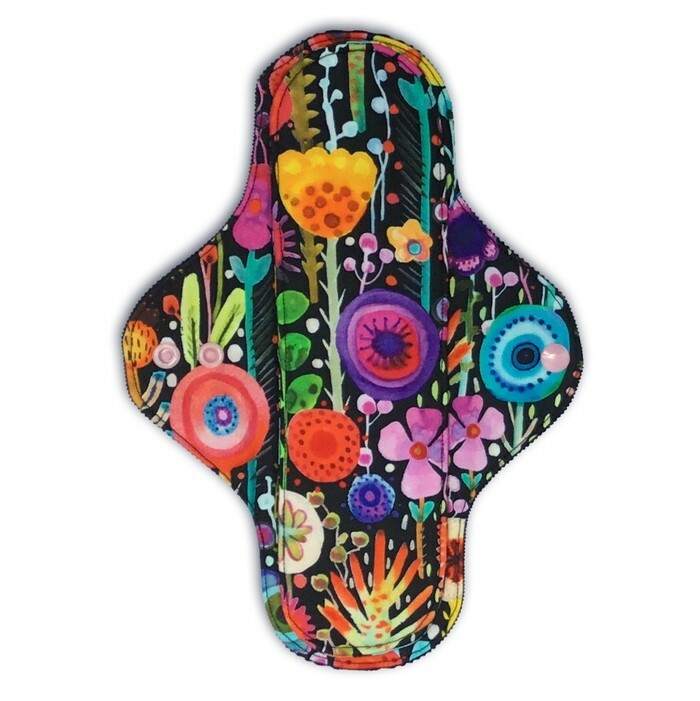 No further prepping of fabric is required but your cloth pads will become more absorbent over the first few washes. All pads come with full care and washing instructions. Do NOT rinse pads in hot water as this will set any stains. Rinse and stain treat (if needed) with cold water. It is important to note not to use commercial fabric softeners on your cloth pads as this can leave a residue on the fabric making it less absorbent over time. Vinegar or other natural softeners are fine to use. Once invoice has been paid please allow 7-14 days construction time. Most orders are processed in a shorter timeframe but please allow for maximum processing time. Do you have a particular fabric in mind that I don’t stock? I’m happy to order fabric of your choosing but this service does incur additional charges and will increase construction time. Message me if you would like to know more. International postage costs will be calculated after payment and any overcharge will be refunded, see our policy section for full international postage costs.